Ms Moses was a guest on the local television show ‘Real Talk – Virgin Islands ten most influential women’ aired on Tuesday January 24, 2017 on CBN Channel 51. The Speaker of the House discussed aspects of her position in the House of Assembly but spent more time talking about societal ills as she sees them and their influence on youth, be it positive or negative. Her teenaged daughter’s personalities and values were also grafted in the discourse, though she noted some of what she said would not be have been welcomed by her daughter. 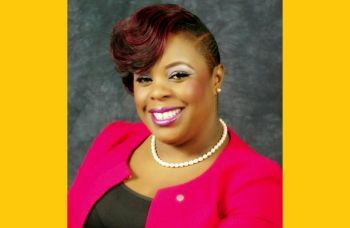 It was the show’s host, Mrs Karia J. Christopher, who asked Ms Moses whether thinks the media fraternity in the Virgin Islands should have some of the local online news sites temper their headlines. The Speaker of the House made reference to a story carrying a certain headline which had to do with the move by government to deal with youth from the age of 16 years. She said that her daughter drew one conclusion, perhaps from the headline, but didn’t get the clear picture until after she Moses had her read the story in its entirety. Ms Moses alluded to the absence of a regulation for media in the VI. “The industry needs to be regulated. They need to form a body themselves, come together and appoint a board. They need to be regulated." blogging and giving your views about whether they be for or against just how the media obtain the news or facts whether the be true or false. That's the world today. Here we go again another Donald Trump. It wont be long before women will be told to wear high heel shoes and lipstick in the work place. This has shown its ugly head in the UK and so has restricting the media rights in the USA. @Cay, I agree with you. She need to get lost with her S..t. #BYE FELICIAAAA. Well if your daughter had taken the time to read the story maybe this opinion might have been different. How do you know that the bloggers did not read the story? Why do you assume this is the case and are you guilty of doing the same. Throughout this story which the media made longer than necessary the iopinions were not bolstered by facts. Making a claim about headline not being supported by the content not for you to determine in any direction. You're not the editor and if the article is not libelous then readers will usually blog on its shortcomings. But that is how it goes with this influential bit that they're given a forum still to utter their bit. Well this is my bit am sorry am not as influential but am most grateful. @Tallfat, she think the bloggers are stupid. She need to go sit somewhere in a corner with her stuck up A!!. No one cares about what that (sic) NDP cr**y has to say. What Ingrid is saying is simply ALTERNATIVE FACTS. WE LIKE SENSATIONALISM especially when its about YOU GUYS. Ammm..... why you bloggers so mad? We need a lot of things. Price Control Board, Audit of Budgets, Audits of the Cruise Pier, Audit of the Hospital. What are we doing for our people? We are busy taxing our people to make revenues; instead of being innovative and finding ways to do so and create jobs. We are in a sad state, and something must be done; first line of business is getting this NDP Government out. They have not contributed much in their two terms, other than a cruise ship that does not bring in too much at all; the opportunity cost of it was not at all in the People of the Virgin Islands favor at the time. Same with this airport runway project. WE NEED REVENUES NOT TAXATION; WITH ADDED REVENUES SALARY SCALES CAN BE ADJUSTED = BETTER QUALITY LIFE FOR OUR PEOPLE. the readers also need to take responsibility for their own education. the more regulations on the media, the more of a puppet state because government can control what gets put out. Newspapers should retract falsehoods if misreported, but if they have the evidence, please bring it to light, even though those involved may fret. watch both CNN AND Fox to hear both sides and make up your own mind. What is wrong with these people? As speaker of the house, she should be neutral in these matters. There is something wrong with the NDP folks and people who are close to them. They have problems understanding a free press and feedom of expression. Which law school she went to? She obvioulsy skipped a few classes. She should know better. Perhaps she should be sued for not being partial in the house of assembly. The media has to make money. They have workers and bills to pay. They have to market their products to get customers... So if a headline attracts readers and customer, they are doing their job very well... How about we asking Ms Christopher what questions to ask. How about we telling Ms. Moses how to rule in the house... We have to respect each other and our Roles. The Media is doing a very good job. She think we came out our Mother's behind. She is RIGHT! People here love ignorance and are surprised at the end results of their nasty and backward ways. She let a lot of us down over how she operated in the House of Assembly…. She was going places but…. @z6ne, you got that right. She need to go sit her *** down. No one, at least I don't want to hear the whoosh of st*le air coming out of her mouth. Hon Ingrid A. Moses any intelligent person knows the reason Trump won the election is because Hilary and her cronies are wicked CROOKS. It wasn't Hillary who bankrupted his company 4 times but made millions and didn't pay the contractors or vendors. IT wasn't Hillary who tried to push an old lady out of her house so he could tear it down and build. It isn't Hillary who is buying steel and hotel goods from China, or is so thin-skinned he can't take ANY comment. At least Hillary has read the constitution. Cronies? Look at Trump's appointees. They were all $million contributors to his campaign. NONE are qualified for their jobs. Rick Perry agreed before he even knew what the job was!! which includes nuclear regulation. This is the guy who wanted to abolish the department of energy. They are ALL swamp creatures. What a dumb bunch you all are. I doubt most of you read the whole article. You all chat too much nonsense for real. Can people genuinely be that dumb??? I hope you all are just acting the fool. People outside the Virgin Islands can read your silly comments. Ingrid was recruited by NDP to be Speaker of the House, I guess she owes allegiance to the government. However, Ingrid you, or no one can or should try to muzzle the media. BVISLANDERS are guided by Democratic Principles. We don't live in a Dictatorship where the media can only publish what the Strong Man wants published. You are just talking sh*t because the government that you are a part of, operates in a clandestine, secretive, unethical corrupt manner. 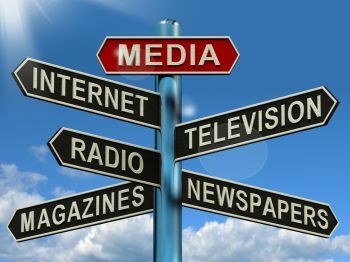 We need the media to be fair and balanced when they are reporting the news, and if they are not bias, nothing is off the table that concerns us BVIslanders. Not even the NDP government. Limit? Mute? Temper? Regulate? What you really mean is "CENSOR" isn't it? Why not have the courage of your convictions and come out and say it? WOW! And this is the speaker of the House saying these things about us! Both the Speaker of the House appear and the talk show host appear to think we are all a bunch of reactionary fools, incapable of distinguishing a sensationalized headline, from the meat and potatoes of any given story and that we don't even bother to read the story! Well thanks for letting us know what you think of the people of the Virgin Islands Ms. Moses and Mrs. Christopher. That says a lot about both of you. Perhaps Ms. Moses' teenage daughter is prone to jumping to conclusions based solely on a headline, but most of us are a little more intelligent than that. I am so tired of people in places of authority looking DOWN their noses on the rest of us. Strupes. You both need to get over yourselves. I don't know who on Earth you think you are talking to. Unbelievable! I think you're missing the point. Mrs. Christopher has to ask the relevant questions to her guests. You such a sceptic good journalism has to be clear questions that people want to hear. Yes I am a fan. These good folks probably love their church so I'm mystified how they can be just so mean. Ingrid should be concerned with the absence of fee regulations in the legal profession.